B&B: Is Kelly Bill's Daughter? 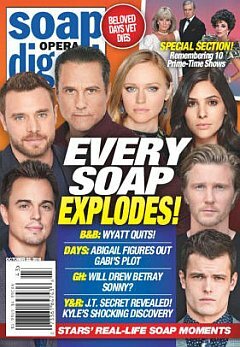 Will Drew Betray Sonny On GH? What is the most soap-like thing that's ever happened to you? Click to be notified when 10-22-18 Soap Opera Digest DEIDRE HALL-FRANK PARKER is back in stock!